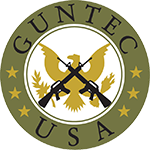 Not too long ago, I got the chance to be able to run a new stock on one of my rifles from Guntec USA. This is one of their stocks that are deemed multi caliber. When it comes to multi caliber stocks, I have found that usually they are made to fit one specific caliber over others. So I took the chance and threw it on one of my rifles and decided to see how it would fare on a AR chambered in .223. 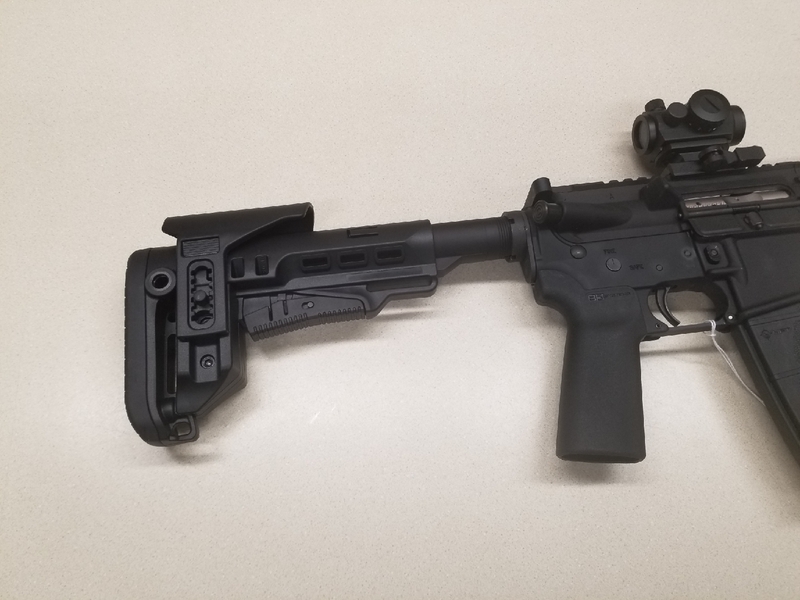 So here is an American made stock from a company that I have had the pleasure to do a review on recently about a rail that I had received from them. When I got this stock in the mail, I had noticed that it was a bit bulky at the start. I usually use stocks that have a little bit of extra padding for the shoulder, but this is something that I have not used before so I knew that this was going to be unfamiliar territory for me when it came to shooting. Going over the packaging I did notice that a buffer tube and spring did come shipped with the stock, so that was a major plus in my eyes. 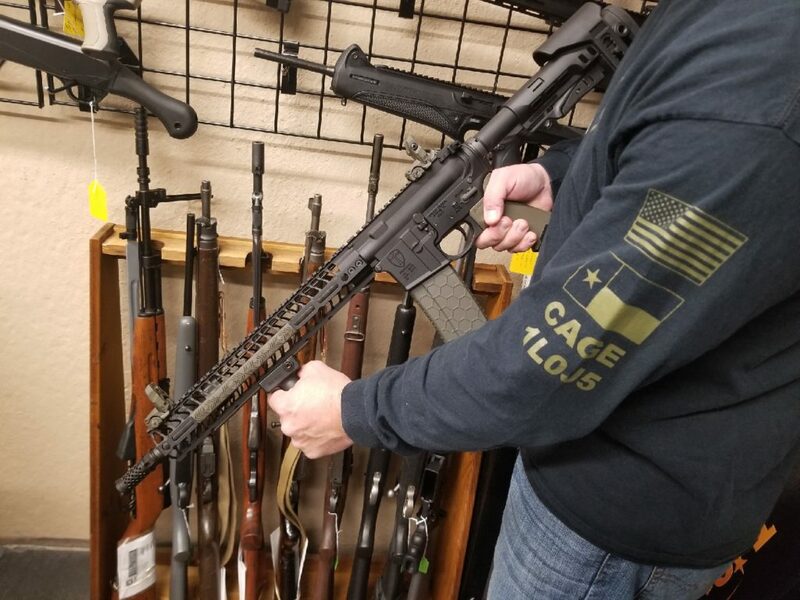 After installation of the stock, and finding the proper area as to where I felt more comfortable in which I would be pinning the stock permanently due to state laws, I found that the stock was a bit heavier than what I was used to. I kinda figured this was going to be the case since the stock is a multi caliber stock, and needs to be able to handle different types of rifles. Adjustable cheek riser comes built in to this stock. When it came to shooting I was just uncomfortable with the stock attached to my rifle. I don’t blame the company for the stock being uncomfortable, I blame myself for putting it on a rifle chambered in .223 and not in a caliber such as .308. The stock did the job that it was supposed to do, that is something I can’t deny. Even for what I used it for, the multi-caliber stock really is better suited for higher caliber round when it comes to my experience with it. For my final thoughts and grading on the Guntec USA Multi-Caliber stock, I will have to say that it is well made stock. 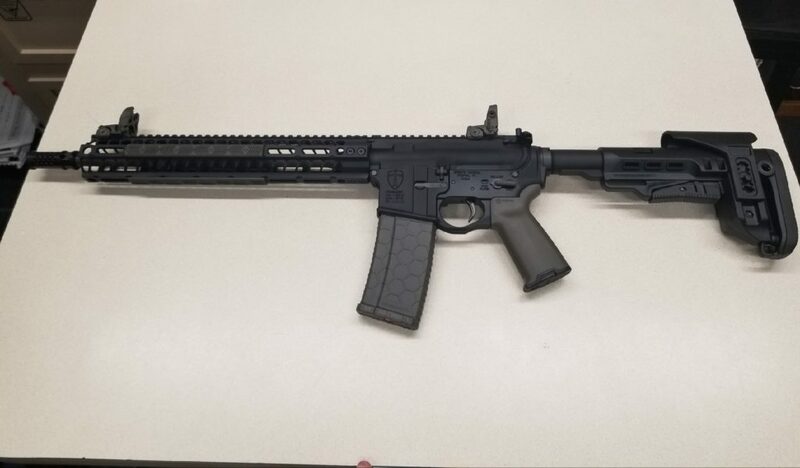 I believe that when it comes to utilizing this stock, I would say that it should be put on a different platform other than the standard AR-15. The adjustable cheek riser is something that I find useful and convenient. 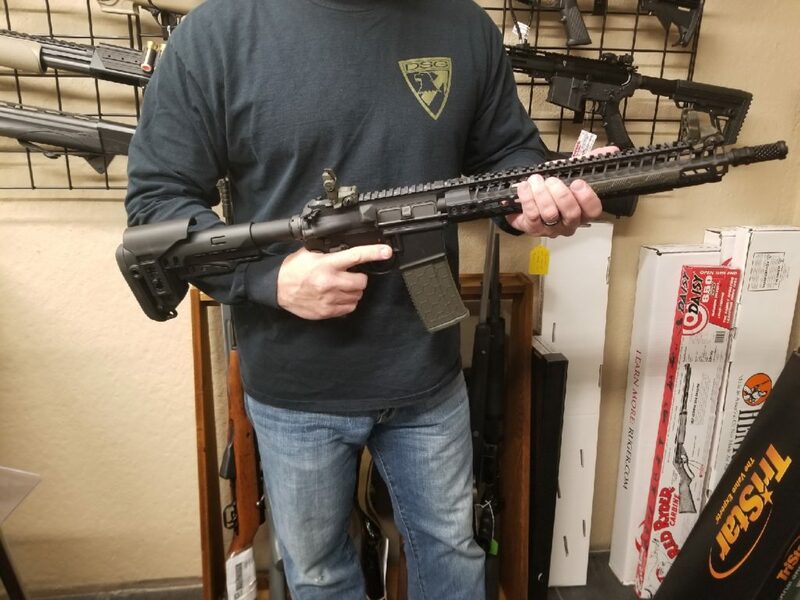 If I were to use this stock further in my time at the range, and with shooting I would be sure to change out this stock onto another more beefier rifle.